This year, my wife and I have been making an effort to "embrace" each others taste in music. When her favorite band, the Corktown Popes, booked a night at Callahan's Music Hall in Auburn Hills (one of my very favorite venues) on the Eve of Saint Patrick's day, it was kind of a no-brainer to get tickets, round a group of friends and venture out for a night of live music. While not bluegrass by any definition, I was thoroughly entertained and pleasantly surprised by what I saw. "This is definitely not your type of music" said my wife as the warm-up band, John Holk and the Sequins took the stage. I took one look at the pedal steel guitar, cowboy hats and lusciously embroidered, fringed jackets and though, "Oh! 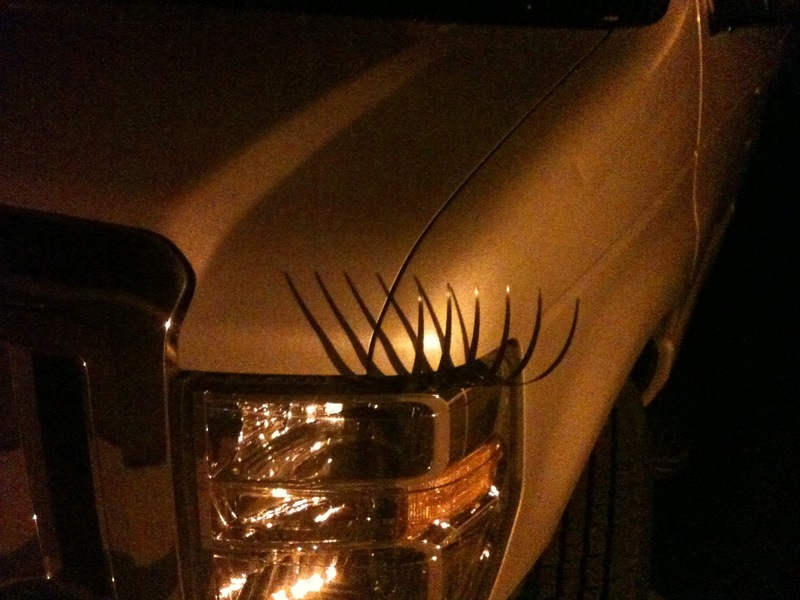 How wrong can you be! I love this kind of stuff!". Pure, twangy Nashville country/rock, their high energy mix of original material and killer covers (including a version of Devil in Disguise that paid homage to the Bluegrass Album Band) was just the type of SeMiBluegrass I love to stumble on. By time they got to a Johnny Cash (Folsom Prison Blues) / Elvis Presley (That's Alright) mashup, I was grinning ear-to-ear and hanging on every note. What a fantastic band. Go see them! As the Pre-Saint Patrick's Day party swung into high gear, and the Irish Whiskey began to flow freely (more on that later) the main event started with a pure Irish snare drum cadence from the heart of the audience. As the Corktown Popes took the stage, they picked up on the cadence and launched into one of their many, high-energy original songs. I was immediately intrigued by their eclectic mix of modern electric instrumentation (drums, bass, telecaster and keys) with more traditional, acoustic instrumentation (accordion, acoustic guitar, mandolin and Irish whistle). It's an odd, hodgepodge of sounds, but it somehow works for them. Frontman, Terry Burns' powerful voice easily cuts through their rich, full sound and propels the band through beautiful slow songs and driving, high-octane barn-burners with equal precision and grace. He immediately connects with the audience and builds on their energy throughout the set. Like many of the band I listen to, their sound defies classification. On the one hand, they're a rock band. But a Detroit rock band, with that quintessentially gritty, urban, Rustbelt sound so familiar to fans of the Detroit rock scene of the 80s and 90s. On the other hand, they're definitely an Irish band, from Burns' subtle Irish brogue to Paul Goodmen's triplet infused fills on the accordion (a sound you usually hear on the fiddle, but way cooler on the accordion) there is a definite link to their heritage. Their vocal harmonies are spot on and sound like they've been singing together since they were kids. 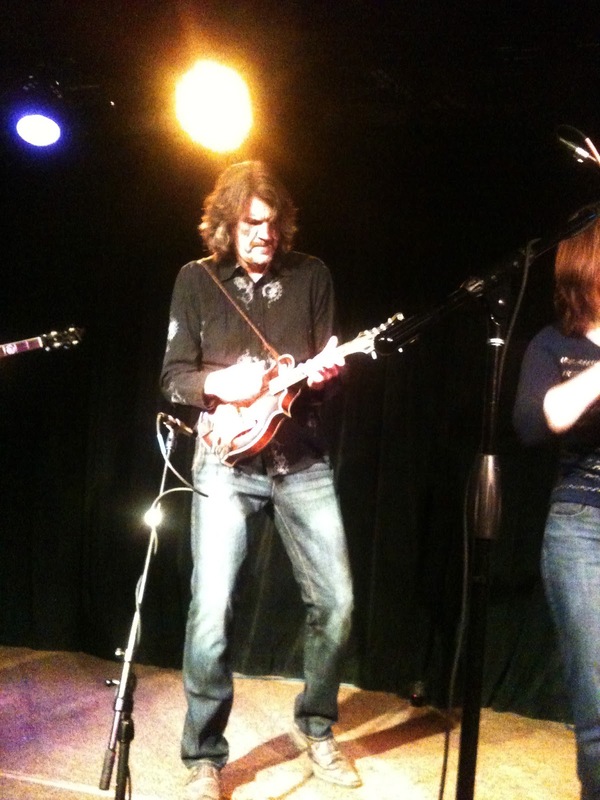 The classic combination of Mike Martin's mandolin with guitarist Jason Kuehn's contributions on the Irish whistle help further define their sound and remind you of the band's Irish roots, especially on the mandatory traditional songs required by the nature of the event. Drummer Dave Younquist and Bassist Joe Bagozzi form what might be the best rhythm section I've heard in quite some time. Tastefull at times and powerful when needed, they kept the energy flowing all night long. As midnight fell, the St. Paddy's day party started and the whiskey continued to flow (both on stage and in the crowd), the setlist naturally drifted from Irish Rock show into pure Irish holiday bar band fare. 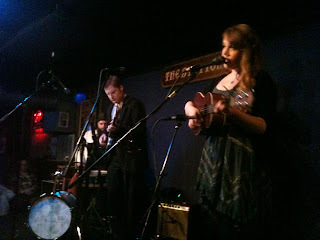 The band shifted effortlessly into this roll, bringing out stools and acoustically covering many standard Irish pub songs. The band, however, never let you forget you bought a ticket to a rock show in the first place. From the multiple, green-clad audience members dancing (swaying?) on stage to the epic, punk rock inspired, crowd-walk-turned-table-dive that sent dozens of audience members, drinks and beer bottles flying, this was one St. Patrick's day show I will always remember. Like what you read? Follow SeMiBluegrass on Facebook or at www.SeMiBluegrass.com. I'm always looking for interesting live music in Southeast Michigan. Got a show, venue or review you'd like to see written up here? Know of a band I should go see? Want to contribute an article of your own? Contact me at SeMiBluegrass@gmail.com. 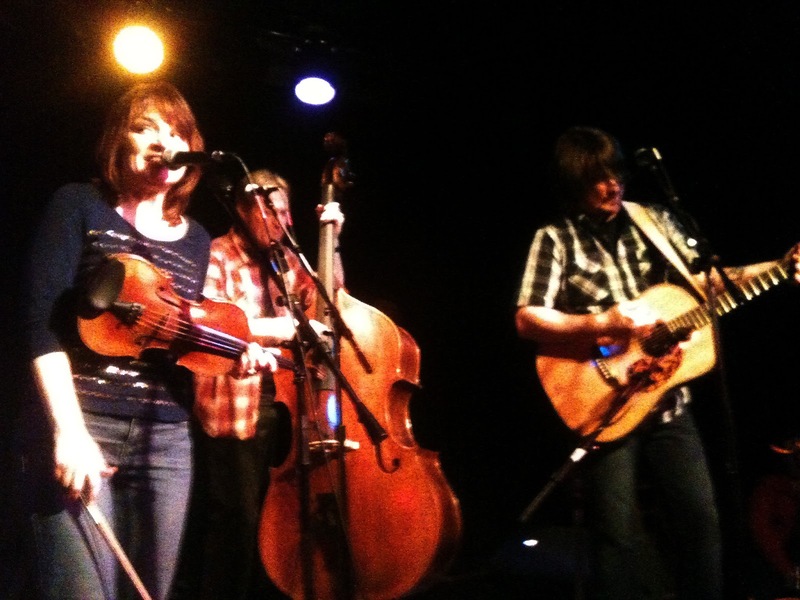 I came to Bluegrass quite by accident in my mid-40s about 6 years ago when I witnessed my very first live bluegrass show on the banks of the Au Sable river in Grayling, Michigan. The very next, day, on my way home, I swung by Elderly Instruments in Lansing because I had heard they sold Bluegrass CDs. The SteelDrivers self-titled CD holds the distinction of being the very first Bluegrass album I purchased. I listened to it on the way home. And then I listened again. And again. A mere six years and almost 1000 albums later, I can say that they certainly launched me on a wonderful adventure in acoustic music! They found a parking space? So, when the SteelDrivers (one of my favorite bands) booked a show at The Ark (one of my favorite venues) I had to go. The cold, windy weather couldn't stop me from showing up early and staking out my favorite first spot in the line. 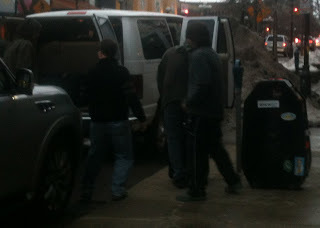 I was lucky enough to stumble on the band unloading their gear at curbside. They immediately asked me if I was waiting to get into the show and introduced themselves. Even though I have come to expect this type of humility from Bluegrass bands, I was struck by how down-to-earth and genuinely excited they seemed to be about playing at The Ark. 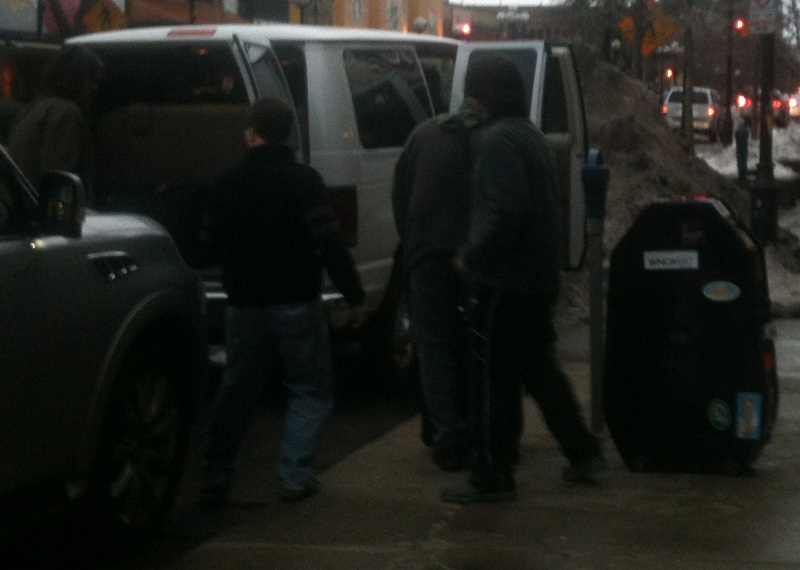 I was also intrigued by a large, sort of coffin-shaped case that came out of the van. Turns out that Mike Flemming's Bass actually breaks down (or folds?) and fits in that case for travel. After a cramped round trip to Marquette in a similar van spent jammed in a corner to make room for a friend's bass, I certainly see the value of this idea. From first hand experience I can also tell you that Mike's "travel" bass sounds fantastic! After the usual long wait in line made tolerable by the quirky, wonderful and cool people you get to meet and talk to while waiting, we got in the show and were fortunate to get a table right at the front of the stage. I've been able to sit in those same seats for some fantastic acts (Jerry Douglas, Ricky Skaggs, The Steep Canyon Rangers...) and love being able to not only hear the show, but experience some of the small nuances of the performance that you can only see up close and in person. The fact that a bunch of my friends were sitting near me made it even better. Right on time the band started. From the first note, they sounded fantastic. From a tongue-in-cheek reference to their music being "uneasy listening--where bad things happen to good people" to the onstage banter and lots of little smiles and giggle during and between songs, it was obvious that they were as excited about playing at The Ark as the audience was about hearing them! It's virtually impossible to write a review of a SteelDrivers show without mentioning that the band has undergone some personnel changes over the years (but what bluegrass band hasn't?). This lineup, while the least familiar to me, has ended up being my favorite. 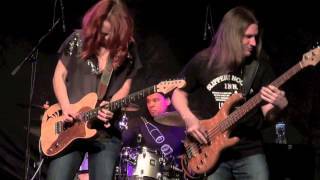 The core of their powerful, bluesy, melancholy sound comes from the unique vocal harmonies of Tammy Rogers (Tenor), Gary Nichols (Lead) and Mike Flemming (Baritone). While not a traditional "perfect thirds" harmony, it is apparent that they spend a LOT of time perfecting their parts until they come together into a full, round and sometimes eerily haunting blend where it's almost impossible to distinguish their individual voices. 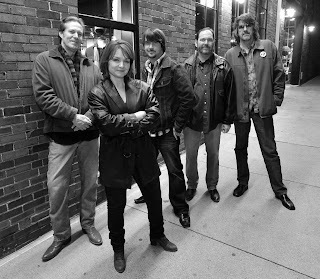 For those not familiar with their work, a typical SteelDrivers set list is heavy on hill-country murder ballads, prison songs, good love gone wrong tales and songs about the evils and wonder of strong liquor. Their unique vocal sound is perfectly suited for this type of material. 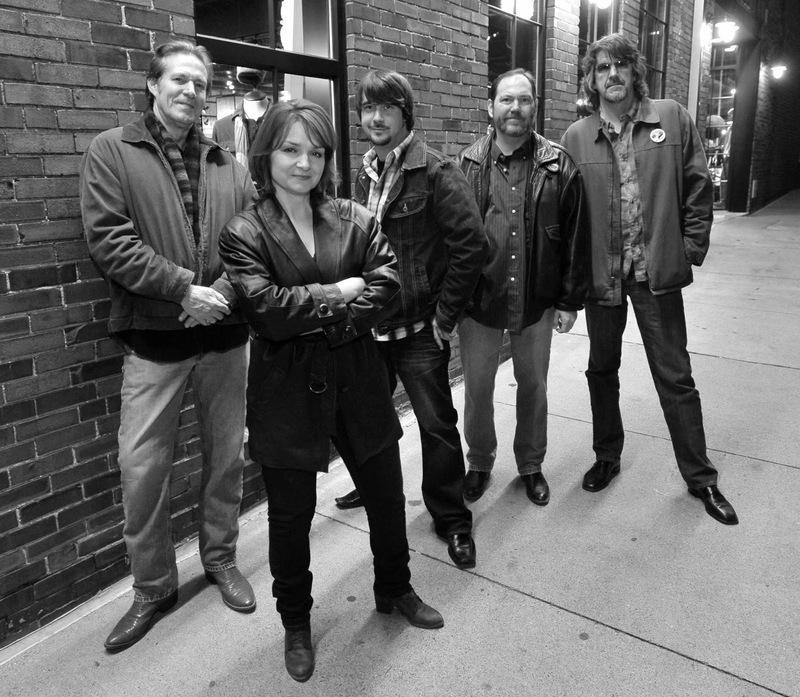 Coming a mere 2-1/2 weeks after the release of their new album Hammer Down, the SteelDrivers Ark Set covered almost all of the new material, and a remarkable number of songs from their first two albums. My favorite songs off the new album were Wearing a Hole, a honky-tonk number written by Nashville country singer/songwriter Deryl Dodd, and When You Don't Come Home, a lyin', cheatin', no-good-husband song done to a feel-good beat that really let's Tammy's vocals shine. It's nice for a man to come out on the wrong side of the "forty-five" for a change too! I can honestly say that I loved every one of the new songs. How Long Have I Been Your Fool, co-written by Tammy and old band-mate, Chris Stapleton, has the kind of cross-over potential that leads me to think you might hear that song on mainstream country radio in the near future. It was their old standards, however, that most intrigued me. This is probably the only review that you will ever read that doesn't compare Gary's voice to his predecessor. Being an acoustic blues fan at heart, I was more intrigued by how their new mandolin player, Brent Truitt was going to handle the other former member, Mike Henderson's, part on songs like Good Corn Liquor where Mike chose to play a National Steel Guitar instead of his mandolin, and really gave those songs their signature bluesy feel. I didn't have long to wait. Corn Liquor came up as the third or fourth song and Brent stepped up to the mic to take his break. "Pretty standard mandolin break" I thought as he began. And then, out of his humble mandolin, came exactly the type of dirty, low-down, string bending blues licks you expect to hear coming out of a nicontine-stained telecaster in some back alley bar after midnight. His foot-forward stance, low-slung instrument, faded jeans, well-worn shirt and long bangs covering his eyes (and a couple of fresh bandaids) only completed the illusion. This is not how the mandolin played. It is not what I expected to hear. What is was my friends, was awesome! For the rest of the show, every time he broke out one of those licks, I was giggling like a 5-year old with a new toy. I loved it! To be fair, all of the SteelDrivers are incredible musicians. Richard Bailey plays some absolutely ridiculous stuff on the banjo. I'd try to describe it to you, but I'm sort of at a loss to compare it to anyone else. He has his own, comfortable style that perfectly complements what's going on lyrically in the song. It's smooth and mellow when it has to be and hard and edgy when it needs to be. You really have to see him play live to see what I mean. Mike Flemming lays down a groovy, driving bass line and, unlike many bass players, is able to sing without backing off his bass part. 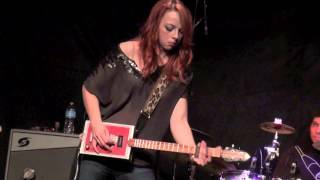 Tammy Rogers is one of the most tasteful and dynamic fiddle players I've seen, able to blend in or stand out as needed. 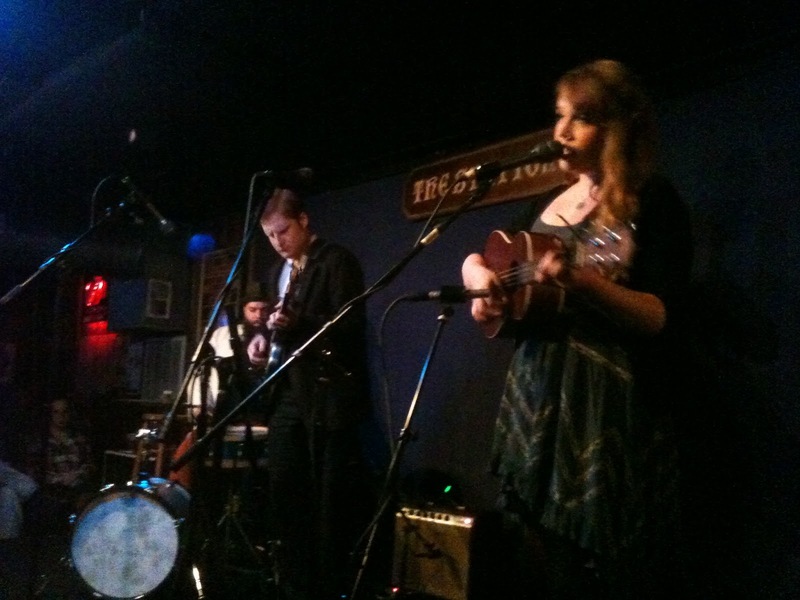 It is plain to see that she loves playing music, and loves playing with this band in particular. Her body language, smile and infectious enthusiasm all scream "fun" for the entire show. Gary Nichols, while not a traditional bluegrass rhythm player, has a stripped down style that perfectly suits the SteelDrivers' sound. That's not to say he's not an amazing picker; his "duel" with Brent before To Be With You Again showcased some of the finest flatpicking I've seen. He can not only play lightning-fast licks, but can play them with soul--a skill many a hot, young picker never develops. I was actually sitting close enough to make out the small (nickle sized) logo on the headstock of his guitar. It turns out he plays a Hays Guitar, and it sounded great at The Ark. 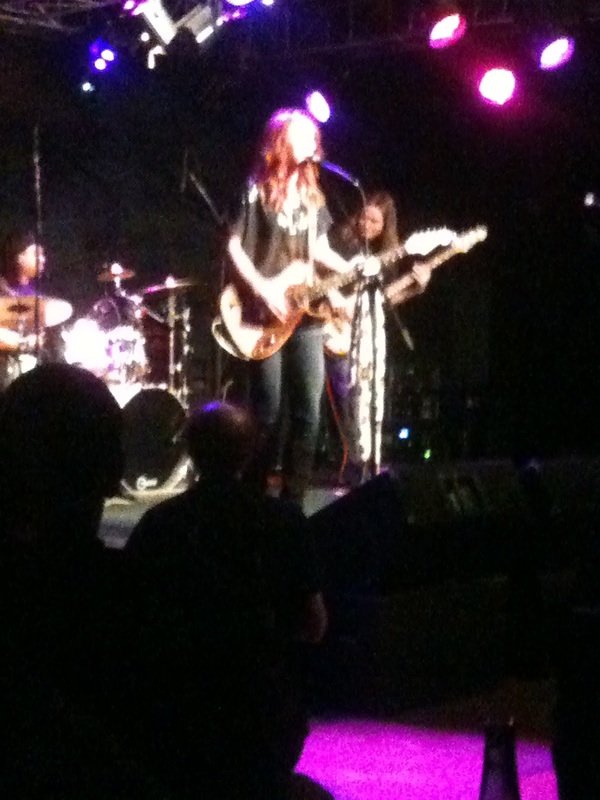 I am aware that every show I see at The Ark seems to be my "favorite" show. This one was no exception. 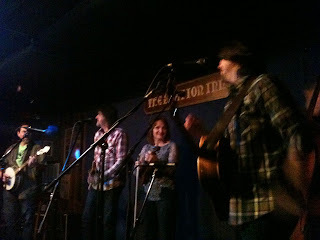 This time however, it has less to do with the fantastic staff at The Ark, who seem to know how to match great artists with their unique audience and setting, and more to do with the fact that the SteelDrivers were my "first love"--the first bluegrass act I really latched onto. This show was special to me. They are not really a traditional bluegrass band ("SeMiBluegrass"? Hmmm...). For me, the show had an element of weirdness, like seeing you high-school sweetheart at a reunion. I was excited, yet oddly apprehensive before the show. It's exactly the type of show that usually lets you down (no band can be as good as they are in your memories, right?). 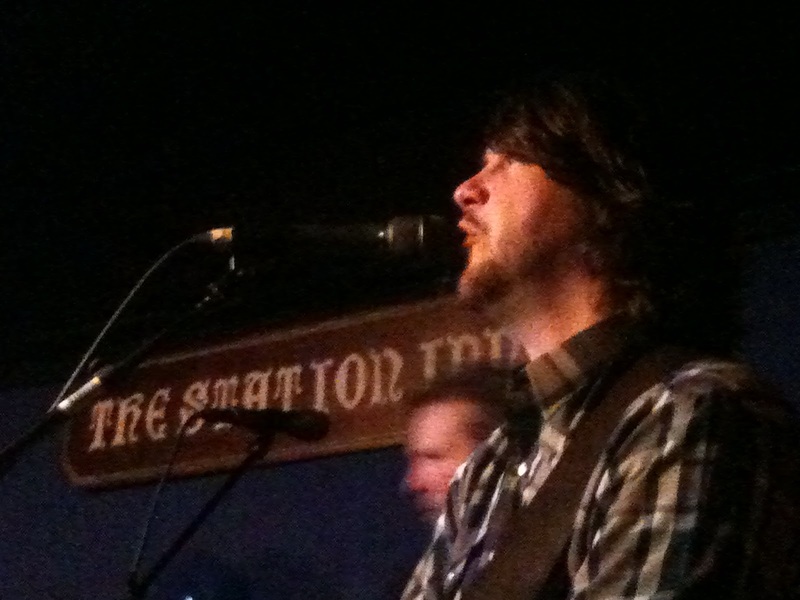 The SteelDrivers, however, proved to be the real deal and did not disappoint. I really need to see them again. They've got a few shows coming up that sound fun (the Bluegrass Underground and the Station Inn in March, St. Joe's MI in May). Anyone want to go see them with me? You should. They are an amazing live band.